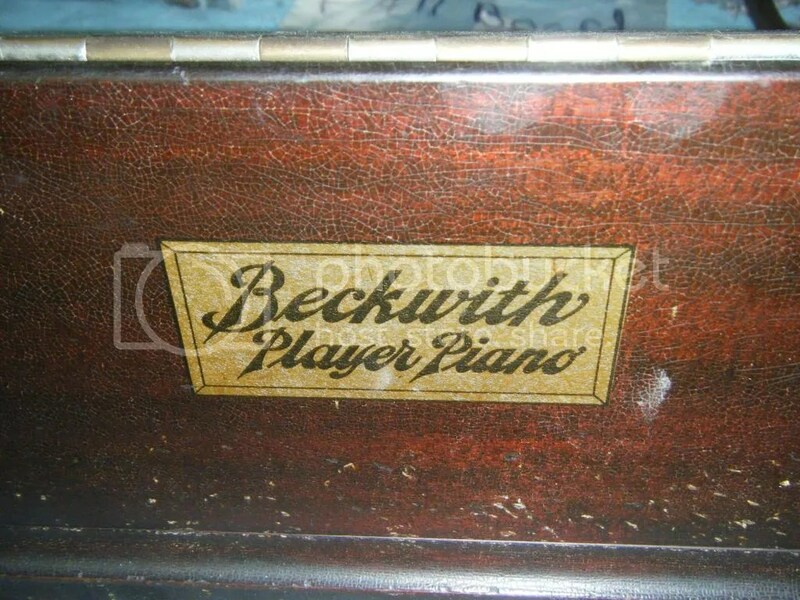 You’re looking at a Beckwith Ex-Player Piano. Usually, Ex-players are very special to their owners because the value for them as an investment is not good at all. With this particular piano, the player portion has been removed, therefore, it is less work on my part as for restoration, but never the less, there are several more pieces in the cabinet that will have to need more attention compared to a regular upright piano. This piano will receive a full restoration along with a brand new finish. I’m going to go back with a color that is very similar to the original , maybe a little bit lighter or a shade lighter. We’ll will also be putting in new bass and treble wires. The soundboard will need some restoration and repairs but guaranteed you will notice a big transformation. I will completely disassemble this piano, with the exception of removing the soundboard and pin block. 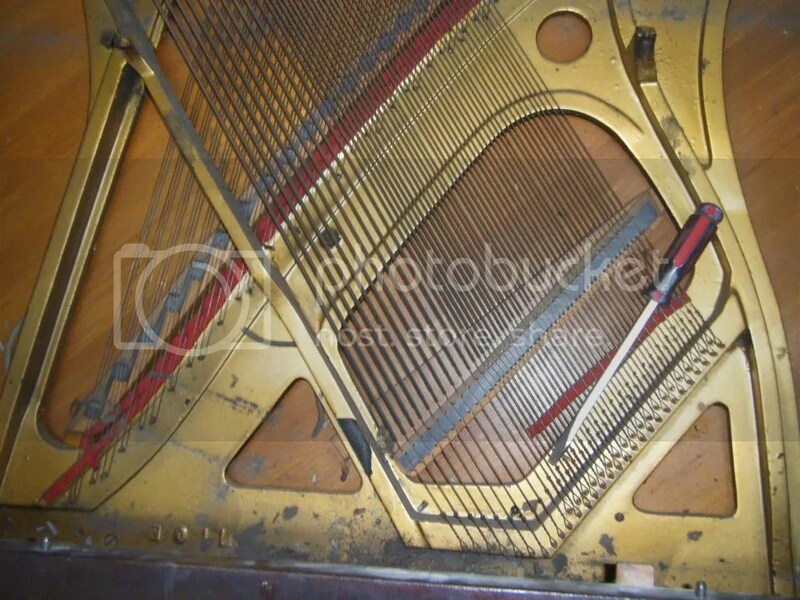 Once the piano is returned to the owner, they will have the action restored by their technician. This piano was made in the early 1900’s and was not a very high volume piano and was not known as an elite instrument but more or less a piano that was was an affordable and with it being a player, made it very popular. With years of history stored in its back pocket, the Beckwith’s pianos potential was ready to be unleashed. Beavers Piano is taking this piano and putting it in the spotlight along with the Kingsbury and Kimball. 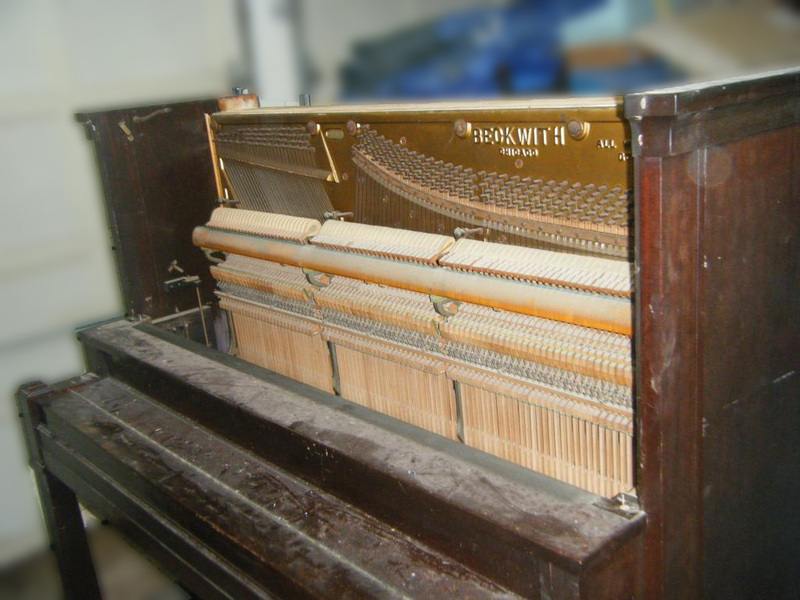 Although the Beckwith is still in its beginning phase, the piano is already starting to sparkle. Once the dust is off, and the curtain is revealed you will see a beautiful and astounding piano which looks brand new! Like every piano, we put much dedication and hard work to make sure each and every customer is satisfied. To prove our loyalty and attempts to please, we even make Weekly Vlogs to show the owner the process the piano is undergoing. Click Below To See the Intro Video For This Piano! If there are any questions about this piano, feel free to ask! Leave a comment, like, or e-mail the us. We’d love to hear from you. I will stay posted on these videos.